You know Jesus wasn’t a white guy with blonde hair, right? Totally wasn’t. 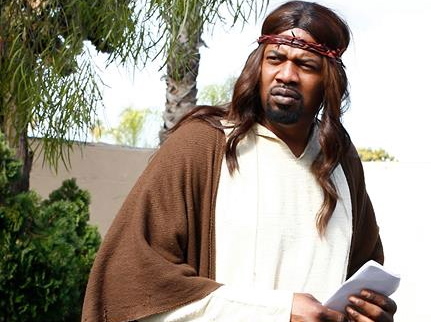 Now I’m not saying he was a black guy either (he was a Middle Eastern Jew after all) but I’m kind of interested in Black Jesus, a new show from Adult Swim. Is this the real Jesus, or is he someone in need of psychiatric assistance? Where did he get the bad language from and does this mean that my English Bible is mistranslating the colourful speech of Jesus? Are robes and sandals so trademark Jesus that he would wear them in 2014? This could be a lot of fun. Keen to check it out.